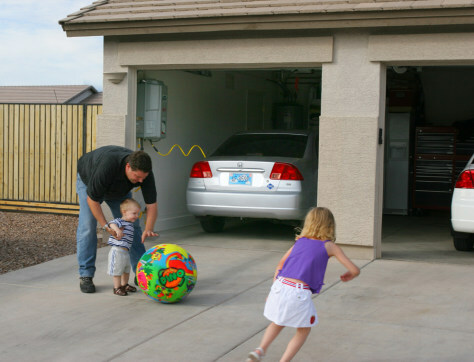 In this photo provided by FuelMaker Corp., Dan Baker plays with his two children at his home in Chandler, Ariz. In the garage is a Honda Civic GX with a home refueling machine just above Baker's head. A fueling line is plugged into the GX.